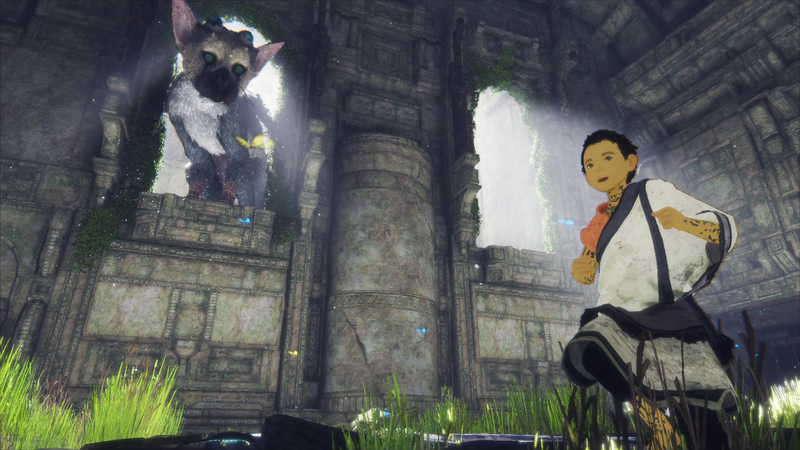 To say fans of Fumito Ueda and his team's previous works were waiting with bated breath for The Last Guardian to finally be released would be an understatement. It's been a long time since we got a game from the famed Team ICO (now reformed with partial members at SIE Japan Studio). Shadow of The Colossus released for the PlayStation 2 in 2005 and The Last Guardian itself was announced as a PlayStation 3 title way back in 2009. Seven years after announcement and nine years after the game began development, we have finally gotten The Last Guardian in full. 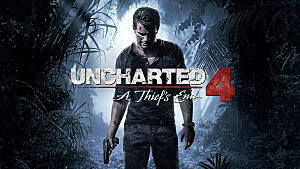 Not on the PlayStation 3 it was initially announced for, but its successor the PlayStation 4. Fans waited an entire console generation and then some to finally get their hands on this game, and it was well-worth the wait. The long and painfully uncertain wait. Following the footsteps of the emotional ICO and enigmatic Shadow of The Colossus, SIE Japan Studio had some big shoes to fill with this release. Shoes much larger than the game's massive Trico could fill on its own. These shoes are colossal -- Shadow of The Colossus itself pushed the PlayStation 2 hardware to its limits, and within its massive environments and one-on-one battles against the colossi was a story and heart to it that no other game has been able to express as well since. Many point to Shadow of The Colossus as the most prime example of a video game being art. That opinion is hard to debate against. You should try it. So here we are in 2016, the year The Last Guardian finally rises from the ashes of development hell to see a full-fledged release, and the big question surrounding the game is whether it lives up to its predecessor. I'm happy to say that in many ways, it does. Your first few minutes of the game get the player in the right mindset for what's to come. Narration is meaningful but sparse, the environments are massive but empty and progress must be made via teamwork between the player and the restless Trico, whose AI and movements do a very convincing job of making you believe it's a real animal. Trico isn't a real animal, of course, but it certainly acts like one. It's inquisitive and protective, investigating things on its own and looking for barrels of food but most interested in staying near you and protecting you from the dangers of the ruins. At times it needs to be soothed, which you can do at any time out of necessity or even just for fun, by petting it. 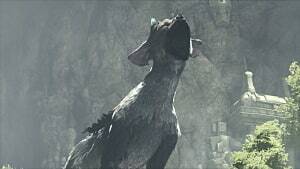 It's a struggle not to bond with Trico emotionally as a player. It reacts to its surroundings in surprising ways at times -- ways you, as a human, wouldn't think about, bother with or be able to do. As you push deeper into the nest you not only see it do surprising things, but slowly bond with you and the world around it. Over time you are able to give it increasingly complex commands to help you progress, such as giving it directions or telling it to jump. Most of your time in The Last Guardian is spent working out where to go next, often with the help of Trico's large size and agility. You are as reliant on the beast as it is on you, as many areas require you separate so you can go into small areas it can't fit in to unlock a gate or solve a puzzle and let Trico pass. Fans of Shadow of The Colossus will easily be able to draw parallels between the game's horse Agro and The Last Guardian's Trico. 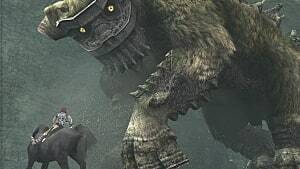 The player is entirely reliant on their animal companion on both games, but in Shadow of The Colossus that reliance rarely veers into combating the colossi. In The Last Guardian, the forces you come up against are far beyond your ability as a young boy, so you must rely on your animal companion to do the fighting for you, though you can certainly try to help. Technical Detractors -- It's (Not) Broken? Though the game has a lot of good in it, it has its own technical detractors that must be mentioned -- even if I personally didn't find them to be huge detractors from the overall experience. The game runs at a shaky 20fps on standard PlayStation 4 consoles, and word is it only runs marginally better at an unsteady 30fps on the PlayStation 4 Pro. 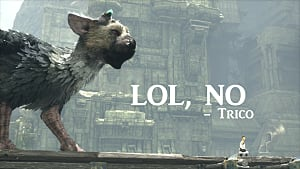 The 20fps itself doesn't cause issue, but the drastic slowdowns in busy situations or when crammed in small spaces with Trico are worth mentioning. They are frequent and very noticeable. The Last Guardian also requires you to manually control your camera nearly all the time, lest you not see what's happening around you or see around corners. 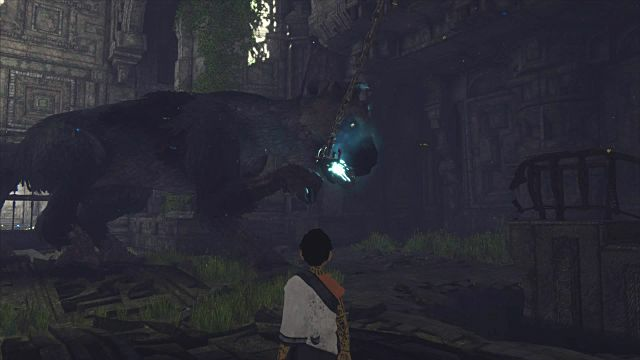 This is something you saw more in previous console generations and while it is not a complaint on my part, it is worth mentioning; you are guaranteed to miss some of the action due to the game's default angles and Trico's body getting in the way. Lastly are the controls, which are perfectly fine for what the game is -- but are far from perfect. 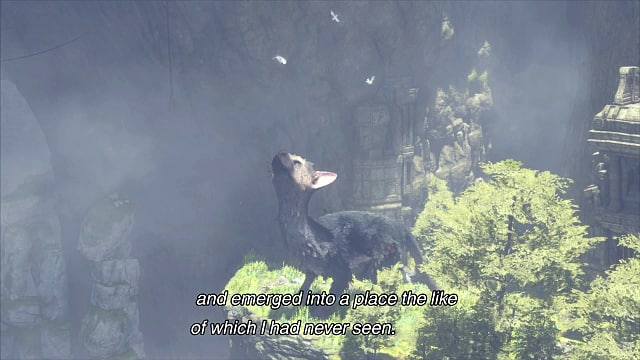 Those who played Shadow of the Colossus will be right at home with climbing Trico and letting go to fall as the game's controls and movement weight are parallel, but anyone unfamiliar with The Last Guardian's predecessor may find themselves irritated by the lack of precision in climbing and hopping off of Trico. Were it not for these issues The Last Guardian would be a solid 10, but there is no doubt it's an older-style game released for the modern market and the tastes of gamers at large are very different from those of 10+ years ago. 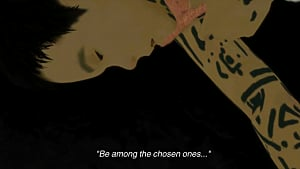 SIE Japan Studio's adherence to minimalist gameplay and storytelling should be applauded. But there is no denying there are aspects of the game the modern market is not best suited to. 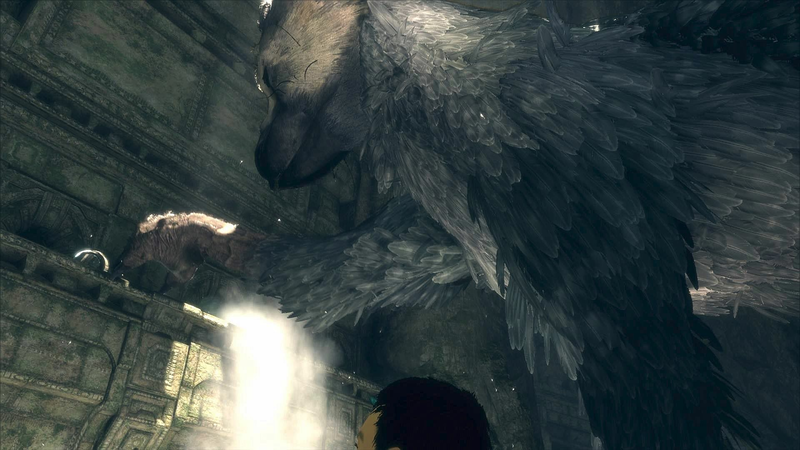 The Last Guardian brought back a type of gaming magic we haven't seen in a big release for over a decade, and that is something to be thankful for, whether you were playing games in the PS2-era and below or whether you're a fan of ICO or Shadow of The Colossus. Nothing is in your face, nothing tells you what to do outright. Your progress is tied directly to your ability to discern Trico's actions and use your noggin to figure out where to go next. 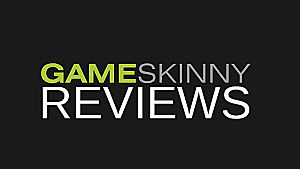 In some ways it's a throwback, but it's a refreshing entry to today's gaming market. 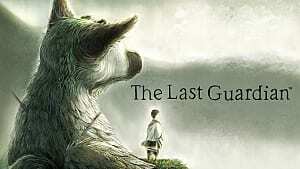 This is especially the case if you didn't start gaming this or last gen.
An emotional journey from start to finish, The Last Guardian shows that Fumito Ueda and the Team ICO staffers now at SIE Japan Studio still have the ability to create a mini-universe you can completely immerse and invest yourself emotionally into without even realizing it. It's a triumph, with its only detractors being some technical issues that, should you be invested enough, are easy to overlook and completely forget about once it's all over. 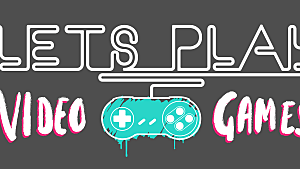 And if you want to play it again once it's over, have at it -- there's replay-only content to be found that Team ICO fans should be tickled by. Much like its predecessor, The Last Guardian is an unforgettable journey bordering on being more art than game.